Well, I managed 4 finishes, which makes me very happy, and despite having put 14 items on my Q1 list, I am considering the quarter successful. My first finish was Triangle City. You can read more about her here. 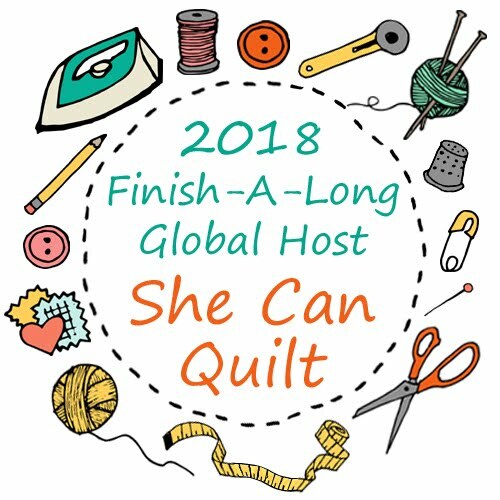 She was selected as one of the Modern Quilt Guild top ten from the Riley Blake challenge too, you can see all the finalists here and the fantastic winners are here. I finished Reflection, more on her is here. A tutorial showing how to make this simple but lovely quilt block is here. 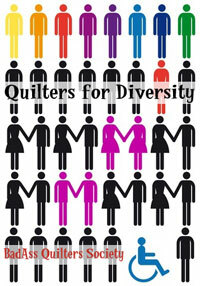 I have started another quilt like this already, I think it will go on my Q2 list. My Nordika Giant Plus quilt makes me smile. 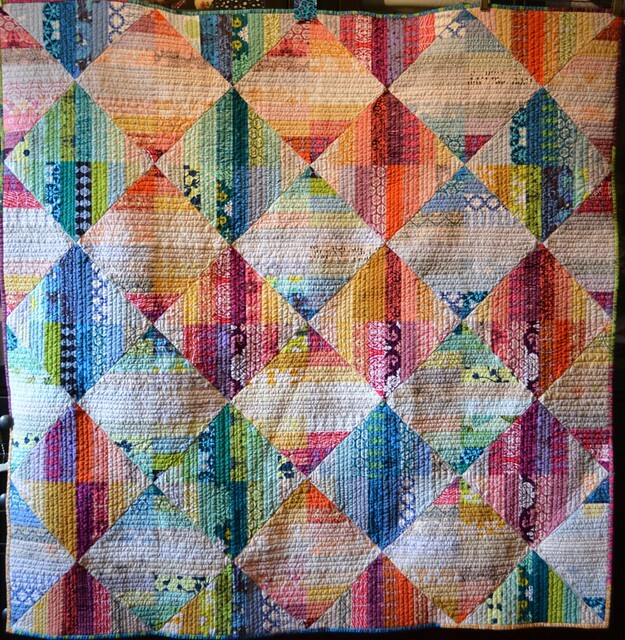 I had fun quilting her as a sampler and my Ta Da post is here. I am very pleased and proud to have finished Snowfall too. Her Ta Da post is here. 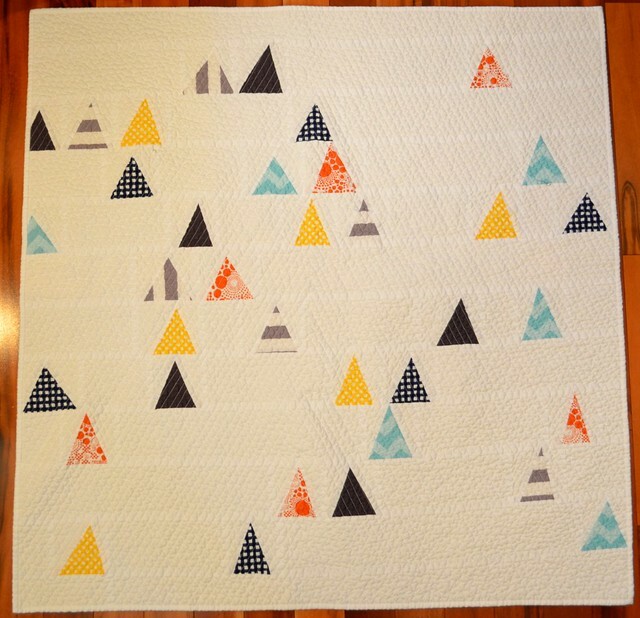 Snowfall is the fourth quilt in my cycles series and I have to say that the next one is in my head too. I hope to get a start on the new quilt this weekend so she can go on my Q2 list as well. And for the rest of the Q1 list, most or all of it will be on my FAL Q2 list as I am keen to get them all done. I have been busy this quarter learning to use my new Millenium Long Arm quilting machine and so finishing more quilts is in order. However, I am also on the road a lot this spring, so time is at a premium. 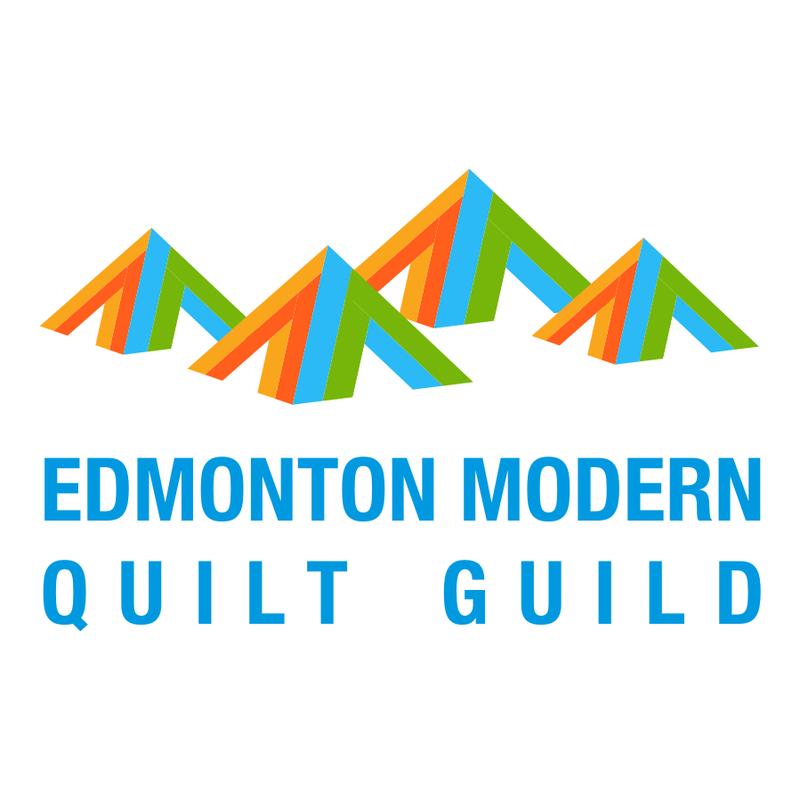 But it is not all work, next week I head off to Nashville for the MQG Sewdown Nashville - are any of you going to be there too? I am writing this as I sit in an airport for the fourth time this week, so it is a short and sweet post. If you have not yet posted your Q1 FAL finishes, head over to Katy's blog - The Littlest Thistle - to get them posted, the prizes from the fantastic sponsors are wonderful, the Q1 tutorials look lovel and time is running out to get your finishes posted - and there is so much inspiration linked there too. I think four finishes is great. Wish I had even a couple of true finishes but things just seem to get started here rather than finished. Working on that. My fav is Reflections. You have so many beautiful finishes. I just love Reflections! Such great looking quilts! You are getting some wonderful finishes in. 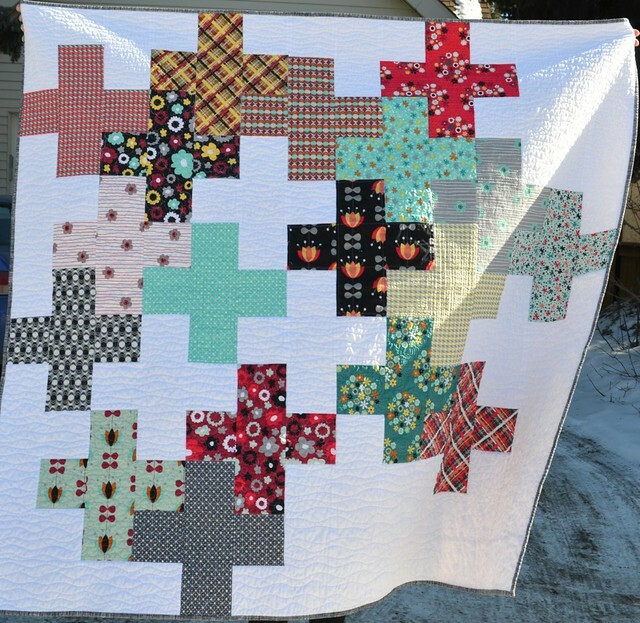 Love your stitching on your quilts--beautiful work! Looks like a fine quarter to me! I *heart* Snowfall. beautiful finishes! I'll be at SewDown . . . to help clean up after it's over. But welcome and hope you enjoy it!! Your finishes are quite spectacular! Wonderful finishes!! Sew Down in Nashville....that sounds fabulous. Lovely to see them all sgain, they really are all lovely! Incredible finishes Leanne! Truly all beautiful and I look forward to seeing more of your long arm quilting :) Have fun in Nashville! Congrats - 4 finishes is great! By the way, did you see that you were mentioned in the latest issue of American Quilter magazine from your win at AQS Phoenix? Too cool!! Congrats on all your finishes, see you in 5 weeks! I always love your work, Leanne, and this quarter is no exception. Snowfall especially makes me happy! You had big finishes even if you didn't manage 14! Pretty spectacular. Wow 4 quilts - you are amazing!!! Love them all! Great quilts Leanne. You are the queen of texture :-) Love snowfall! Such beautiful finishes, really love that plus quilt. Lovely finishes Leanne! I wish I could join you in Nashville, looks like it'll be fun! Eep, I will be at Nashville! See you there! Four stunning (and sizeable!) finishes - well done you! 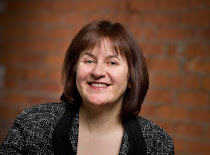 Cheers to you for some lovely finishes, Leanne! Don't know which of the 4 I love most. So gorgeous and as always, very inspiring. Love the new look on your blog. Looks great! Every single one of these quilts are amazing! Someday I will make my own reflections. It stops me in my tracks every time I see it! Wow...your finishes are amazing! I'm in awe of all the work. Congratulations!